This overnight sweet brunch bread is a perfect way to start off a St Patrick's Day celebration. 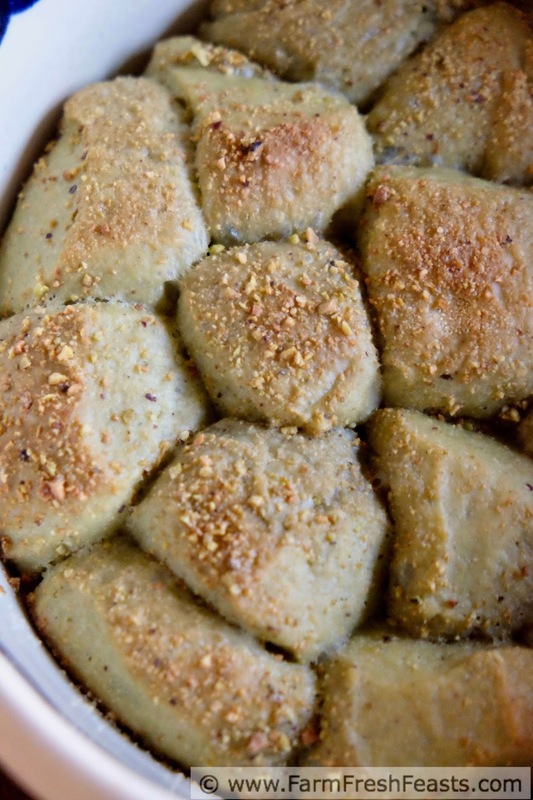 Delicately, naturally, green from matcha powder, this monkey bread is rolled in pistachios for flavor and crunch. I like to celebrate holidays with food, even if it's not a holiday I claim as my birthright. I'll make Pumpkin Cranberry Maple Kugel even though I'm not Jewish, and Corned Beef, Cabbage & Dubliner Pizza although my People went a viking to the Emerald Isle then returned home to Scandinavia. It's fun to celebrate with food, especially colorful food. 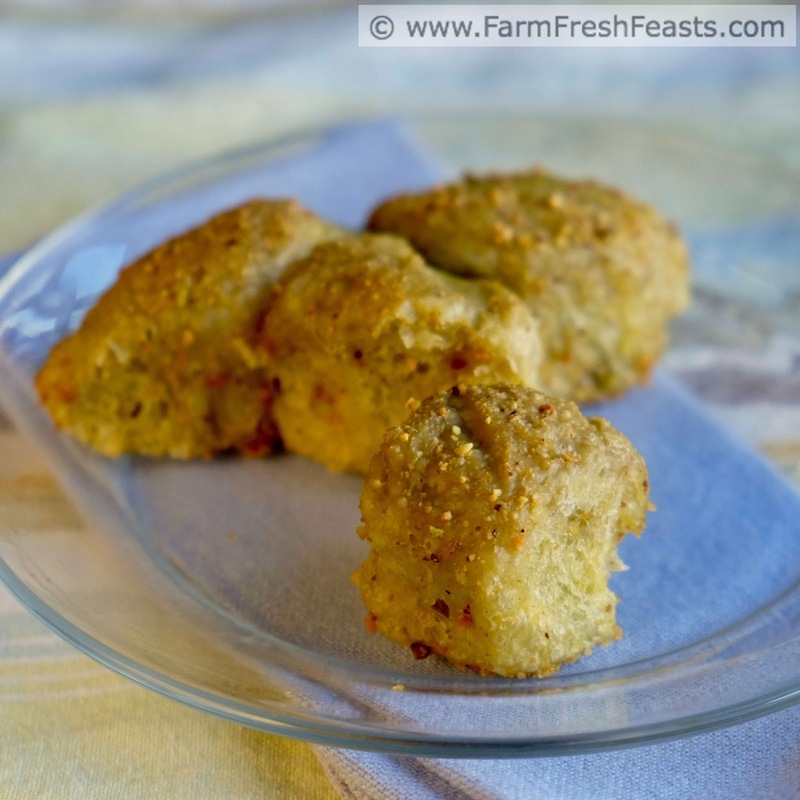 Recently I shared an attempt at green muffins that did not work out exactly as I'd hoped--even if they were tasty! One surefire way to have naturally-colored baked goods is to make the dough ahead of time, letting it rest in the fridge. This allows the color to deepen, and has worked for me with several Community Supported Agriculture (CSA) farm share vegetables. It seems, in my experience, that a cooked vegetable as part of the moisture for a yeasted dough results in vibrant breads. My two favorite examples, so far, are my three color Mardi Gras Braided Bread and my bicolor Overnight Sweet Potato Pecan Monkey Bread. 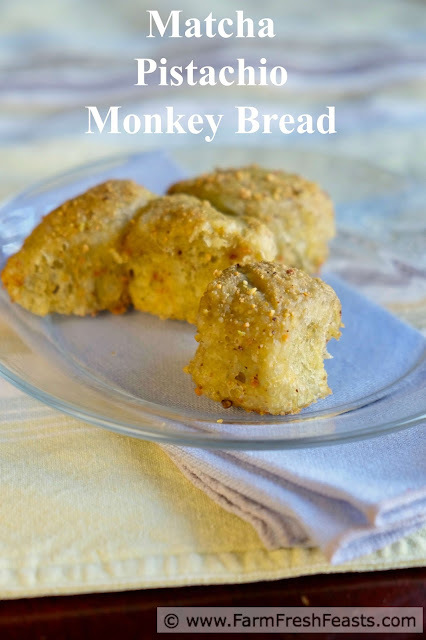 Today's recipe is a fusion of those two--taking the green matcha dough from the Mardi Gras bread and baking it in the manner of the monkey bread. I kept up the green theme by using pistachios in place of pecans, but this recipe remains inspired by the book Make Ahead Bread by Donna Currie. 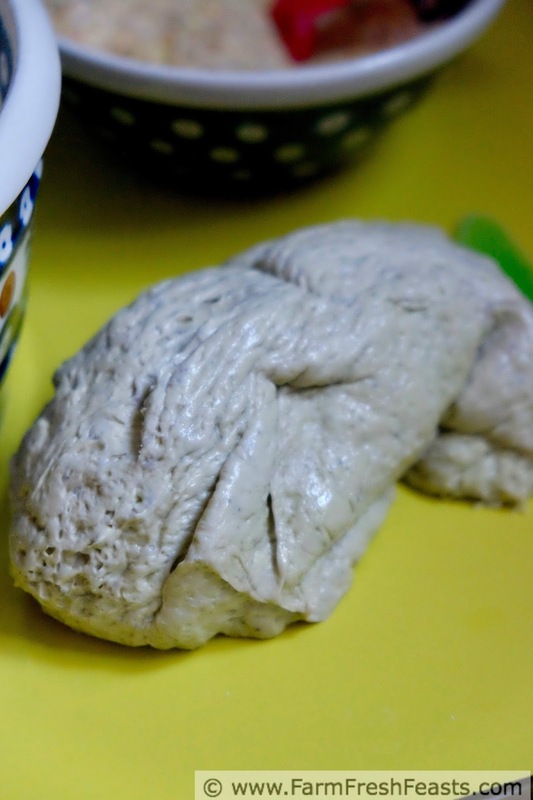 Naturally colored bread dough is not always sweet, however. Since we are a Friday Night Pizza Night family, I've got colorful recipes here for beet pizza dough, kale pizza dough, and spinach pizza dough. I've made less colorful, but quite versatile, sweet potato pizza dough as well. I'll insert a disclaimer at this point that none of these pizza dough recipes are 'grain free', 'low carb', 'paleo', or the like. I'm just mixing cooked vegetables into a yeasted, wheat flour-based, bread dough. Like I did with today's recipe. For more recipes, check out the Visual Recipe Index by Ingredient, a resource for folks like me eating from the farm share, the farmer's market, the garden, the neighbor's garden, and great deals on ugly produce at the grocery store. If you've got a bread machine, do like I did and just throw everything in the machine, following the manufacturer's instructions for the Dough Cycle (since my kitchen is a yeast-hostile environment in the winter). If you're not going to do that, warm the milk gently and add to a large mixing bowl like the bowl of a stand mixer. Dump in the butter, egg, salt, and matcha. After you measure out the sugar, remove 2 Tablespoons from that amount and set it aside for the topping. Dump the sugar into the bowl and blend together using a paddle. Add the yeast and flour, mixing with a dough hook until it is a smooth and elastic ball. 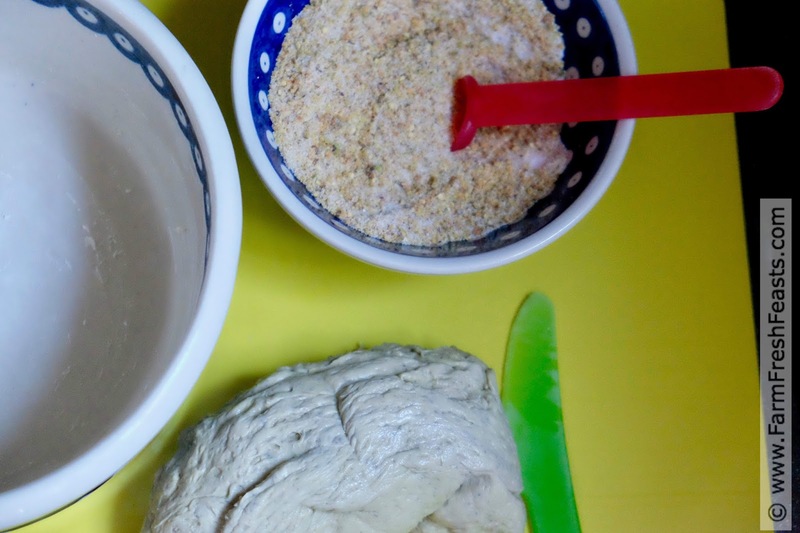 With floured hands, transfer dough to an oiled bowl (straight sides are best to accurately measure doubled dough), cover with plastic or a tea towel, and let the dough rise until doubled. Mix reserved sugar with pistachios and graham cracker crumbs in a small bowl. Set aside. Generously butter a 9 inch square or round baking pan. Cut dough into about 12 to 13 pieces using a floured knife. I followed Donna's advice to keep the piece size random. 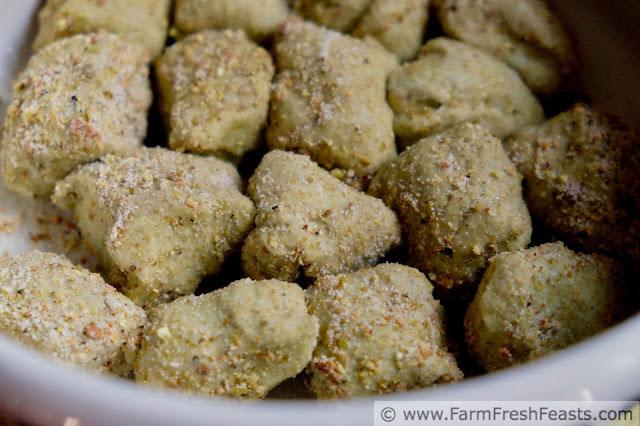 Roll each piece in the pistachio coating before nestling it into the prepared pan. Remove pan from refrigerator. Preheat the oven to 325 degrees Fahrenheit. Bake for about 45 minutes, until the top is golden brown. Donna suggests an instant read thermometer reaches 190 degrees Fahrenheit, but I just eyeballed it. Cool the bread in the pan on a rack for 5 to 10 minutes, then lift out (couple of pancake turners did the trick) and transfer directly to a rack to cool another 20 minutes before serving. Serve warm. 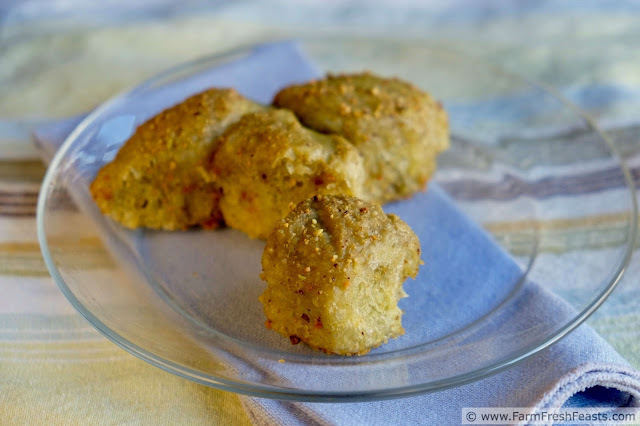 I'd much rather have your bread, pistachios and all, than some paleo-fied version of it. Bring on the whole foods.